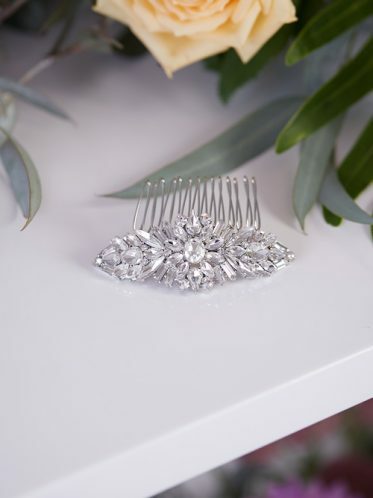 The Cinderella wedding comb proves that wedding jewellery in Melbourne can be stylish and delicate. With a swirling base of swarovski crystals through out and a centre flower shape in the middle of this lovely piece tapering to the edges. Consequently it will catch the light as you dance. 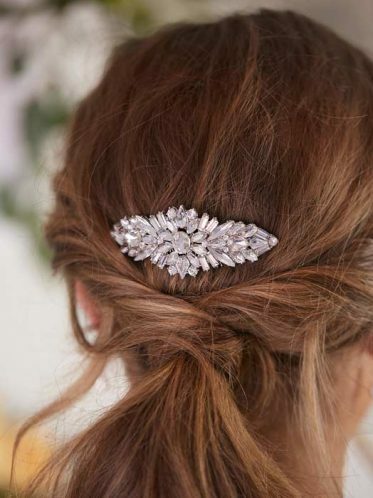 This stunning piece of wedding jewellery has a slight vintage feel. And wearing at the top of a wedding veil is a very pretty look. This will give your veil a more finished look. 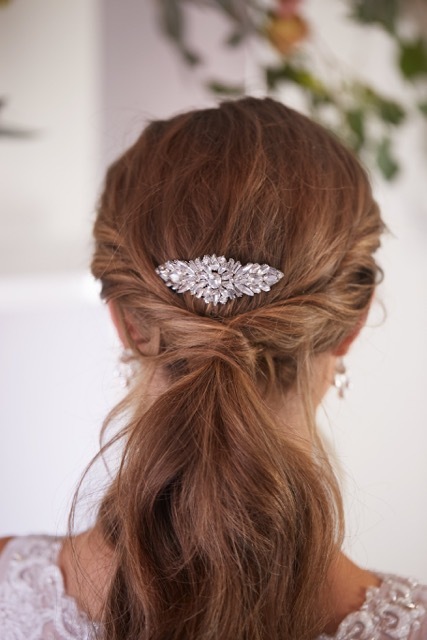 Or wear at the side of a bridal hair style as a feature in itself. Wedding dress belts to match your Cinderella wedding comb. Exclusive to Leah S Designs. And is a perfect match to the Cinderella bridal belt. The Cinderella wedding dress belts have the same cut stones and tapered design. A lot of thought has gone into the wedding jewellery range at Leah S Designs enabling you to team jewellery pieces together to create the perfect look for your wedding day. Come see this beautiful collection of wedding jewellery only at Leah S Designs. Many other designs of combs in store to choose from. It is a good idea to organize your wedding comb and wedding veil if you are wearing one before your first hair trial. 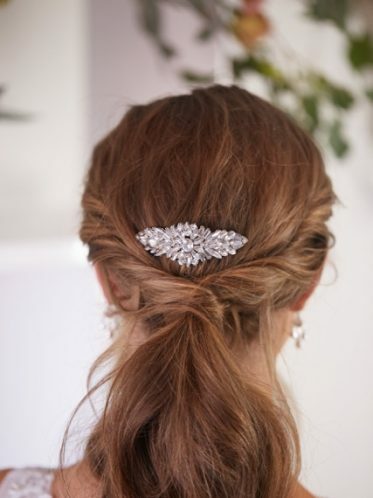 This will give your hairdresser more of an idea of size and placement ideas for your bridal hairstyle. Its always good to be able to see what the total look will be on the day. And this also give you the opportunity to discuss what happens to your hairstyle when you take your bridal veil off after the service. Especially if you are planning to wear a cathedral veil with your wedding comb.